We are pleased to tell you that our school has been selected to represent schools across our state and nation by participating in the National Assessment of Educational Progress (NAEP). NAEP is given by the U.S. Department of Education and tells us what American students know and can do in key subject areas. It is the only ongoing nationally representative assessment that provides this valuable information. NAEP has been given in schools for nearly 40 years. You may have taken the assessment yourself when you were in school. The results are published in a report called the Nation’s report Card which provides reliable student achievement information to educators, parents and other citizens. In our school, the NAEP assessment will be given on February 24th, 2017 in reading, mathematics and science to students in grades 8. The 4th grade will be tested on February 22nd 2017. In addition, a few students may be assessed as part of a field test in other subjects. Your child has been selected to take the assessment. In addition to subject area questions, students will be asked some background questions such as how often they use computers and what types of classes they take. 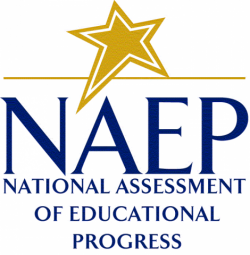 It will take approximately 90 minutes for students to complete NAEP. The results are completely confidential, and your child’s grades will not be affected. Your child may be excused from participation for any reason, is not required to finish the assessment, and may omit any test question. While NAEP is voluntary, we depend on student participation to collect information on student achievement that will inform improvements in education. Your child will represent many other students, so participation is very important. However, if you do not want your child to participate, please notify me in writing by February 16th, 2017. There is no need to study in preparation for the NAEP. We do ask parents to encourage their children’s best efforts and to have them get plenty of rest the night before the assessment. We are excited that our school will be participating in NAEP, and we are pleased that your child has been selected. We know that Hillsboro’s students will help us to show what American students know and can do!